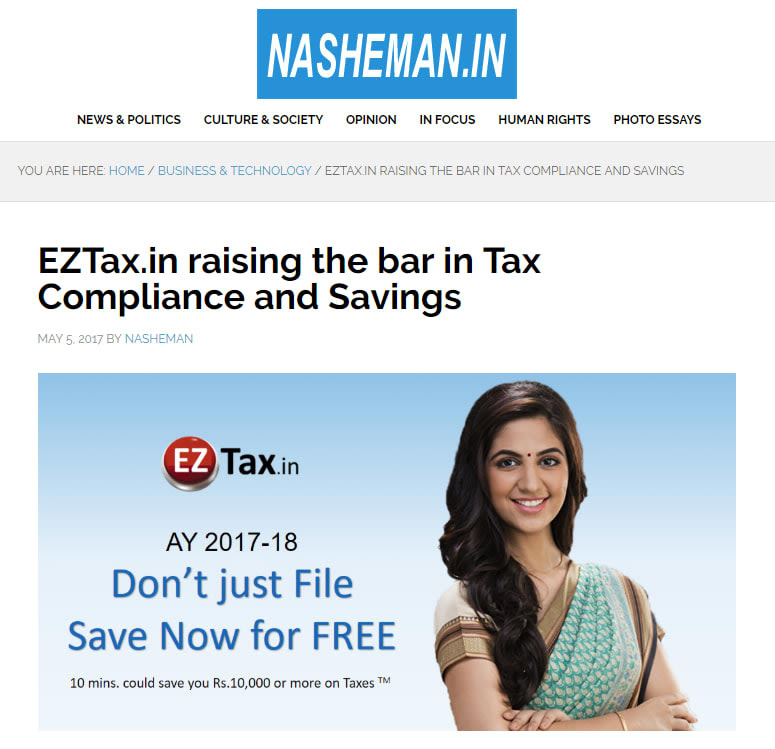 Hyderabad based startup, MYD Labs Private Limited, built an advanced tax engine for filing platform EZTax.in to raise the bar in tax compliance, ease of use, and tax savings. It takes just few mins to file your taxes and plan for savings at the same time. Problem: While tax compliance is low over the years, Indian Tax payers used to have two broad choices in filing their IT Returns. One to pay Rs. 1000's in potential filing fees to get their tax savings thru experts, and another to lose Rs. 1000's in potential tax savings thru low cost online filing solutions where it offers only to file but no potential to plan, save their taxes. higher, and that too, no such solution available in self-service / online mode. Tax Optimizer, is a unique solution offering part of FREE self-service tax filing service, that shows recommendations to save your taxes online with real time simulation, including today vs to-be comparison to take the right choices while you file your taxes". He further continued in making tax filing an experience at EZTax.in rather a compliance thing. The product further offers many of the features that are not part of the mainstream tax filing solutions in India. Their India's 1st features include EZHelp to make tax filing easy without prior knowledge, Express Filing feature to simplify the tax questionnaires, Tax Optimizer feature to save taxes and provide real-time estimated refund, Creative Audit to reduce potential IT notices to give the tax payer the peace they deserve, High Security including 256-bit encryption to protect privacy of tax payers, coupled with best user experience, makes this portal a unique and innovative. The portal also adopts to your device whether a phone, pad or a PC.